OPPO has a new phone for the Philippine market. And as expected, its newest offering brings a redesigned body and adds fast charging and an extra rear camera to the package. Say hello to the OPPO F9. Before we get to the specs sheet, let’s talk about the facelift that has been showcased earlier. Because if anything, the F9 is a cosmetic upgrade to an already impressive, feature-packed device. The front now features a “waterdrop screen” design, which means less notch and more screen without expanding the phone’s footprint. By extension, the redesign has made it possible for OPPO to present a taller, 2,340 x 1,080 LTPS-IPS LCD screen for an immersive viewing experience. And if you’re particularly nitpicky about build materials, you’ll be happy to hear that the OPPO F9 is the first phone to ship with Corning Gorilla Glass 6, which is the best on the market now and should be able to handle an accidental tumble. According to materials we found on the web, Gorilla Glass 6 has been tested to survive up to 15 drops from one meter, though we definitely recommend using the bundled case for the device if you don’t mind the extra bulk. SEE ALSO: OPPO A3s vs. Xiaomi Redmi 6A: Which is the better-value phone? OPPO says the F9 flaunts a 90.8 percent screen-to-body ratio, and the bezels do look thinner than ever before on an F-series entry. The smaller notch houses the 25-megapixel selfie camera and earpiece speaker (and possibly not much else). 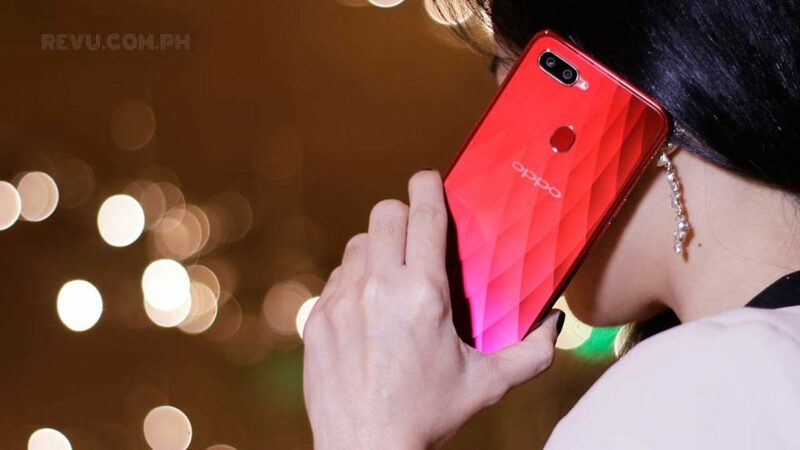 The back of the F9 gets the same gradient treatment as the OPPO R15 Nebula Special Edition, but the phone introduces a diamond-like pattern to distinguish itself from other color-changing phones out there. The main camera system also makes room for dual lenses, with the extra lens equipped with a 2-megapixel sensor for portrait photography. 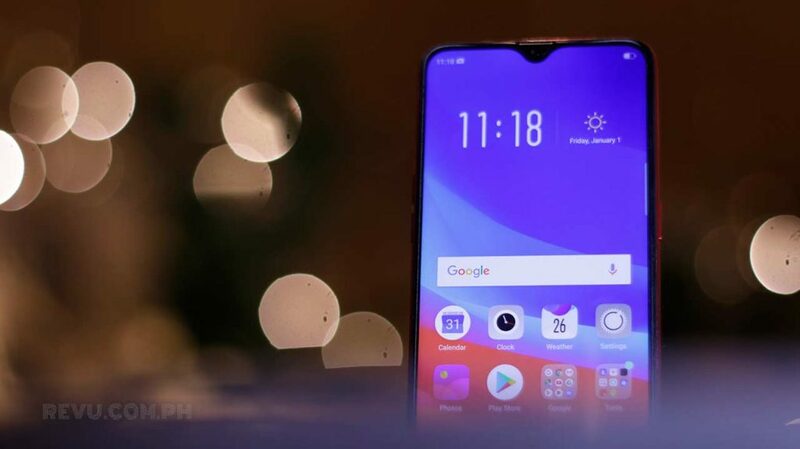 A MediaTek Helio P60 sits inside the OPPO F9. As you might recall, the P60 is one of the fastest choices in the category, comparable to Qualcomm’s Snapdragon 660 in day-to-day and gaming performance. And while the 3,500mAh power cell likely won’t translate to a significant boost in battery life compared to the 3,400mAh cell inside the F7, the F9 now supports OPPO’s proprietary VOOC fast charging, which the former doesn’t come with. That means you can get up to two hours of talk time out of the F9’s battery from a 5-minute charge. In the Philippines, the OPPO F9 with 6GB of RAM and 64GB of storage will retail at P17,990 (around $336) — as much as its predecessor, the OPPO F7, before the latter’s price drop (it’s now at P14,990 or $280). It will also be available through Smart’s GigaX Plan 1299 and Home Credit’s “0 percent interest for nine months” offer. The F9 will drop in stores nationwide next month, but OPPO will accept preorders from August 24 to August 30. Early adopters will receive freebies worth up to P3,490 ($65). You can get the smartphone initially in either Twilight Blue or Sunrise Red. The Starry Purple color variant will arrive at a still-undisclosed date.